Decoding Product Codes: Toss it or Keep it? 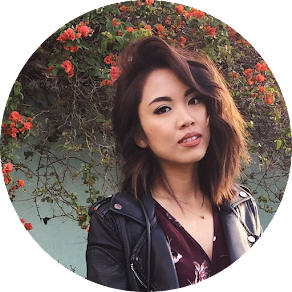 The freshness of the products that we put in our face is as important as maintaining a daily skin regimen. 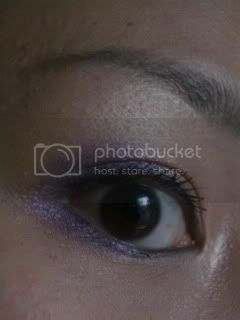 It's important to know when it's time to toss and say goodbye to our makeup no matter how difficult the process maybe. Failing to do so may only do more damage and harm to our skin, and we don't want that now do we? 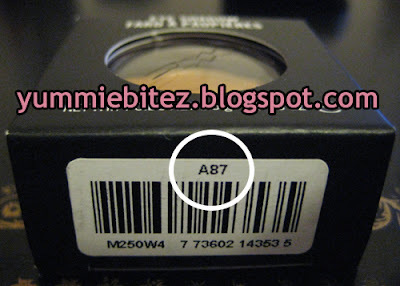 So recently, I have discovered that MAC has provided codes where it tells you when that particular product was produced. I tried to take a picture of where the product code will be located in your MAC products. 1. Found at the bottom of the box. 1. The back of the box (very faintly printed). 2. Underneath the pigment container. It's usually on the container where it says the name of the color. 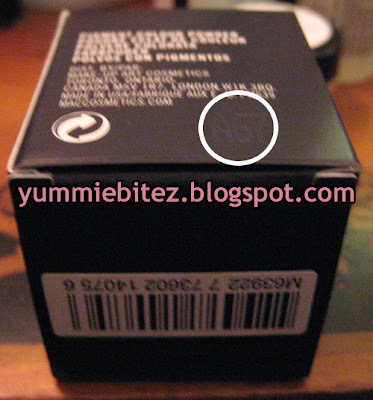 They are also located in the boxes, but are usually faintly printed on the packaging. You have to slightly angle it under the light to actually see it. These codes not only helps keep track of the shelf-life of your products without having to keep tabs on it on a spreadsheet, but it also a way to know whether or not the product is a counterfeit (for the people who buy their MAC products on eBay). First letter: The batch number of the product. For example A is the first batch, B is the second batch and so on. Second letter or number: The month of production. 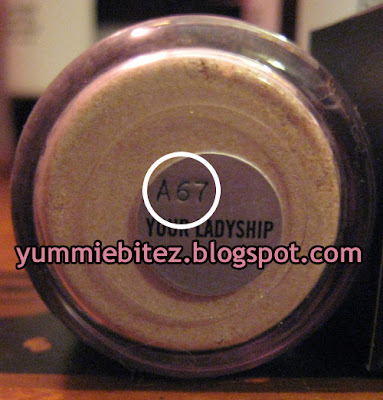 So if we were to decode when my Your Ladyship pigment was produced, A67, it was the first batch in June 2007. 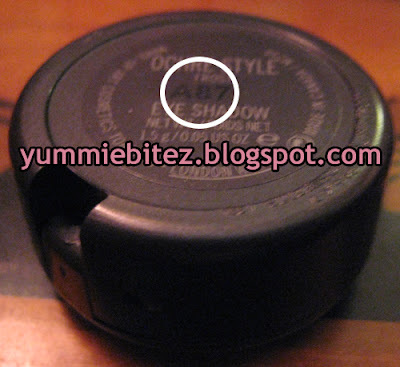 After I found out about this, I checked my latest purchases from The Cosmetic Company Store. 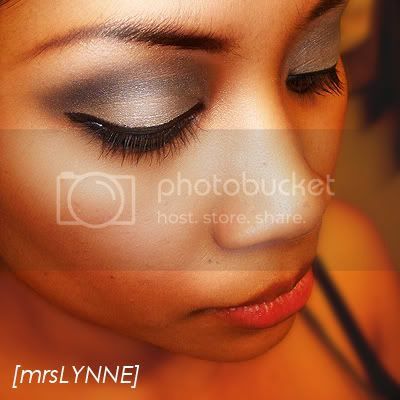 For those who haven't heard about this store, they sell MAC cosmestics with a 30-40% off discount. They're usually discontinued items, overruns, or limited editions. It's discounted for a reason: the product is at least year old. Well at least the ones I've purchased. So, it's up to your judgment whether or not it's worth it to purchase discounted MAC products but buying it at least a year old. It might not hold true for the rest of their inventory, but always check to make sure how old the product is before putting it on your face. And, just like how the saying goes: "You get what you pay for." 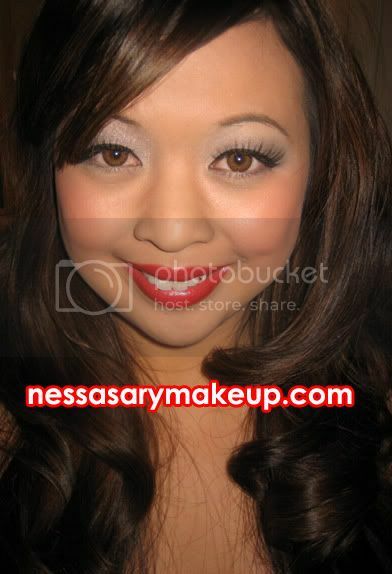 For more information on the shelf-life of cosmetics, please check out NessasaryMakeup.Com for a detailed run down on when to say good-bye to your makeup. So stop saving those makeup and put it to use. Get your money's worth by using it til you reach the end of the pan. Don't hold on to it, no matter how much you paid for it or how pretty it is because it will be useless after it expires. And saving expired goods may only cause you harm than good. The well-being of your skin is more important. It's a lot easier to toss bad products than mend a damage skin. Think about it this way: You wouldn't eat spoiled food even though it's your most favorite food in the world right? p.s. where did you get your baby doll tank top? yellow looks awesome on you! Mae: Happy new year to you too! and thank you! Hey girl. Happy New Years to you! Thanks for the product code information - very helpful! What a great picture of you and the man, you guys look so cute. Happy New Year gorgeous! I miss you already buddy *sniff sniff* now I am going to be super bored at work HAHA, once you are used to your new place see if you can sneak AIM haha...and yes! We should do dinner! Let's do next Tuesday shall we??? Happy New Year Gorgeous! You and Shin look super cute! Hope you had fun! Man I am going to miss talking to you, now I am going to be super bored at work HAHA *sniff sniff*, once you get used to your new place, see if you can sneak AIM, LOL. And yessss let's do dinner! Let's do next Monday or Tuesday night, just you and me? Olive Garden? Lemme know! Thanks for about MAC's batch numbers! I already knew about it but I find a lot of ppl don't. I once swapped a lipstick on Makeupalley.com and it turned out she sent me a 9 year old lipstick for my brand new one. LOL. I can't believe ppl still keep lipsticks that old. Btw, I really like your hair! It's a great cut.